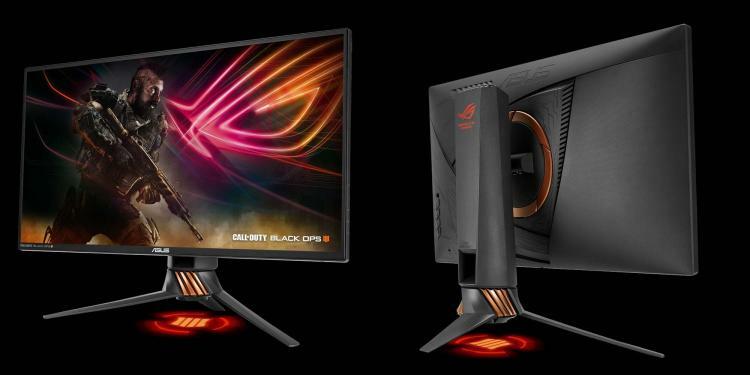 The ASUS ROG Swift PG258Q gets the Call of Duty – Black Ops 4 edition as well as ASUS ROG and Activision commits to their partnership in created Call of Duty-themed ROG hardware. The ROG Swift PG258Q Call of Duty - Black Ops 4 Edition delivers smooth 240Hz native refresh rate with 1ms response time at 1920x1080 resolution for the smoothest gaming visuals in high-fidelity. It also features support for NVIDIA G-SYNC technology that reduces screen tearing and stuttering for smooth gameplays. The ROG Swift PG258Q Black Ops 4 Edition gaming monitor also packs the NVIDIA Ultra Low Motion Blur technology to further smoothen gaming visuals even in rapid movements in games like FPS. ROG Swift PG258Q Black Ops 4 Edition is the fastest in its class, with a 1ms grey-to-grey response time to completely eliminate smearing and motion blur. The gaming monitor also features the Light Signature that allows users to create and customize ROG Swift PG258Q Black Ops 4 Edition's light projection effects – includes two ROG logos and the Call of Duty shield logo. The ROG Swift PG258Q Black Ops 4 Edition has a wide selection of connectivity options including DisplayPort 1.2 and HDMI. There are also two USB 3.0 ports for your mouse and keyboard. It also comes with an ergonomic adjustable stand so you can tilt, pivot and height adjust to achieve the perfect position for gaming visual comfort. Learn more about the ASUS ROG Swift PG258Q Call of Duty - Black Ops 4 Edition gaming monitor here. Estimated SRP is $549 USD.